Last year, Frank Gmeindl cycled more the 7,000 miles. Based on that impressive figure, you wouldn’t expect the retired engineer and current cycling instructor to struggle with arthritis in his feet, hands and lower back. And that’s exactly what Frank does. He practices yoga 2-3 times a week—which gives him the ability to continue cycling. 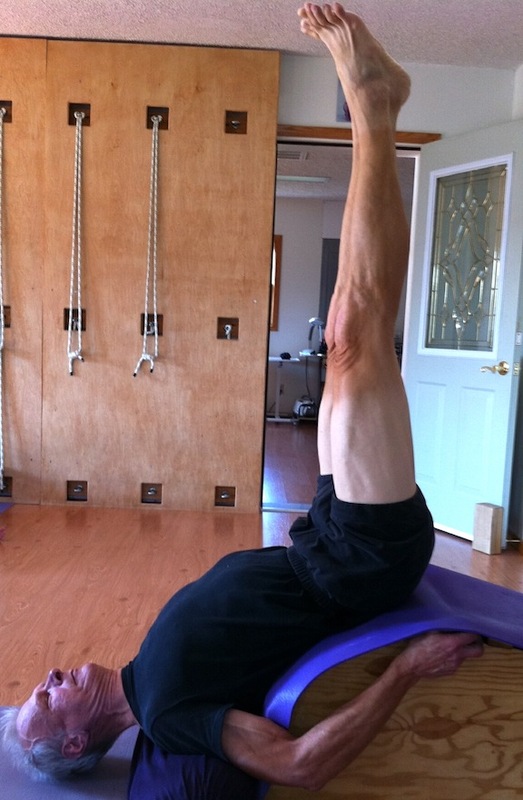 “Iyengar yoga is deliberate, with much forethought. It benefits all of your joints, muscles and the energy behind them, ” he explained. However, Frank also suffers from a spinal stenosis. His spinal cord is being pinched in his lower back, causing pain from his back down to his feet. This pain has sidelined him from other activities, such as running and skiing. Frank is excited to return to the studio after recovering from his surgery, though. The practice that has kept him moving will also help him through the healing process as he attends 50+ and Yoga Therapy classes. He knows that the instructors will be able to guide him through anything, whether it is post-surgery rehabilitation or the common cold.